“Gone in 120 Minutes” is not a sequel to popular action movie. This is the real-life testimonial of a TexStar Chiropractic (Austin, Texas) patient who once believed that she was condemned to a life of pain. It is also the story of the unthinkable, that Americans often (and erroneously) view chiropractic care as a desperate measure of last resort only to subsequently discover a “miracle”. Five years ago, Sarah fell awkwardly while exercising on a trampoline and began a five-year period in her life living with a pain level described as “eight out of ten”. Finally and at her wit’s end, she came to us at TexStar to seek chiropractic care for her chronic neck pain. Like many, she had all but accepted as fact that she would never experience true pain-free living again. Sarah chose a combination of chiropractic manipulation and cold laser therapy. By the end of her second chiropractic treatment session she was pain free and hailing us as miracle workers. We humbly accept the compliments, however, we know that we are not miracle workers. We are simply highly trained and experienced professionals exercising PROVEN spinal treatment techniques often times likened to miracle works. In this 40-second video, Sarah summarizes the “miracle” she recently celebrated when Dr. Henry and the TexStar Chiropractic team ended five painful years of agonizing neck pain and a brutal chapter of her life. However, this video is not all about Sarah. Behind the video is our celebration. We celebrate the ability to deliver chiropractic care to the fine people of Austin and revel in the professional reward of returning quality of life to those who enter our door. It is perplexing why the great people of these United States, on average, wait longer to seek chiropractic solutions to pain than those people of other developed nations. Strongly consider the fact that pain and drug-free living is achievable and can be achieved more safely and more affordably than your current approach. Your “miracle” might just be a phone call away. Can you imagine a more non-invasive and painless pain treatment than simple directed light energy? Not likely because light energy is the most non-invasive treatment option available. We call it "cold laser therapy" and it is among the most safe and affordable back pain treatment options available today. Today's blog post is designed to educate you more on this truly amazing and effective strategy and to invite you to personally discuss back pain treatment options with the chiropractic professionals here at Austin's TexStar Chiropractic. Cold laser therapy reduces inflammation, swelling, and pain via the use of infrared light. Infrared light effects the human body at the cellular level. Unlike medications (cortisone and other anti-inflammatory meds) infrared light stimulates your own body's cells to naturally take action to reduce inflammation, swelling, and pain. Within our circle this is referred to regenerative medicine. Is This New and Unproven Technology? Not at all. This treatment has been used for decades. How effective is Cold Laser Therapy? Very. More than 50% of our patients advise measurable pain relief after the first treatment. About 90% of our patients report positive effects from systematic treatment. Varies from patient to patient. You must realize the multiple sources of inflammation and back pain and different causes react differently to the light. The long-term effectiveness of the treatment is ultimately up to you and your body. Realize that the goal of cold laser therapy is to reduce pain sourced by inflammation and swelling. Whereas we're confident we can do that, how you treat you back in the post-treatment environment has much to say about the return to pre-condition pain. There are a few very specific contraindications to cold laser therapy that you will be screened for. If the doctor determines that you are a good candidate there should be absolutely no negative side effects. With that said, we will highly encourage you to follow the treatment dosage and frequency recommendations that your provider recommends in order for you to achieve optimal results. Tell me about the Doctor who will treat me with Cold Laser Therapy. Meet Dr. Michael P. Henry, DC. He was born and raised in Austin and was named the 2014 Texas Young Chiropractor of the Year by the Texas Chiropractic Association! He was also appointed to the state chiropractic regulatory board by the Governor of Texas in 2016. For more information regarding cold laser therapy please refer to our dedicated web page on the subject or contact us anytime! Today your friends and chiropractic professionals at TexStar Chiropractic wish to educate you on the single most cost-effective way to treat back pain. Sit down and prepare for this gigantic slap in the face from Capt. Obvious: take active measure to prevent back pain from ever happening in the first place. We realize that back injuries and bad-luck genetics prevents the complete eradication of back pain, however, there are certainly things you can do to improve your spinal health, posture, and to avoid what is often agonizing pain sourced at your back. We know some of this will read as simple common sense, but our experience proves that positive results can be achieved when we take the time to actively consider both the obvious (and not so obvious) tips below. Here are five simple but effective back pain prevention tips. Exercise. The back and spine are a complex arrangement of muscles, bones, cartilage, and nerves. The simple act of exercising (which by the way includes the simple act of walking) serves to facilitate a productive and harmonious relationship between all of these elements. If you are an inactive person, you need not go crazy with exercise. Start doing something, anything, that stretches and tasks your back muscles (even to the smallest of degree). Start something that you truly enjoy and that will naturally self-motivate continuance. Some of you have seen the commercial for that work desk tool that allows you to raise and lower your computer from sitting to standing height and vice versa. Well they work from the perspective of improving back and spine health. Exercise is a natural spinal decompression treatment. Strong muscles continually act (in somewhat similar fashion to a professional's spinal decompression table) to retard spinal collapse. Eat right. What more really needs to be said here. Health weight means your back and spine does not carry avoidable loads. A little known fact is that your intestines relate to the back and spine in that your inside and your outside relate to one another as proven by the fact that back and spinal pain patients often suffer irritated bowels. Sleep sideways. Sleeping on your back stresses your back as will sleeping on your stomach. If you must sleep on your stomach or back, then you should consider trending toward a more firm mattress or put a pillow under your lower abdomen to help take stress off your back. Reduce stress. Complying with steps one through three above will go a long way here. Most do not realize that stress negatively impacts the back and spine. Stress causes tense muscles. Recall the previous discussion about the need for a harmonious relationship between the muscle, bone, cartilage, and nerves. Well, stress stresses that relationship. Quit smoking. While we do not know exactly why smoking can have a negative effect on back and spine health, research shows smoking can make existing back pain worse. One theory is that smoking narrows blood vessels resulting in the deprivation of oxygen and nutrients to the spine. Only bad things result from that. 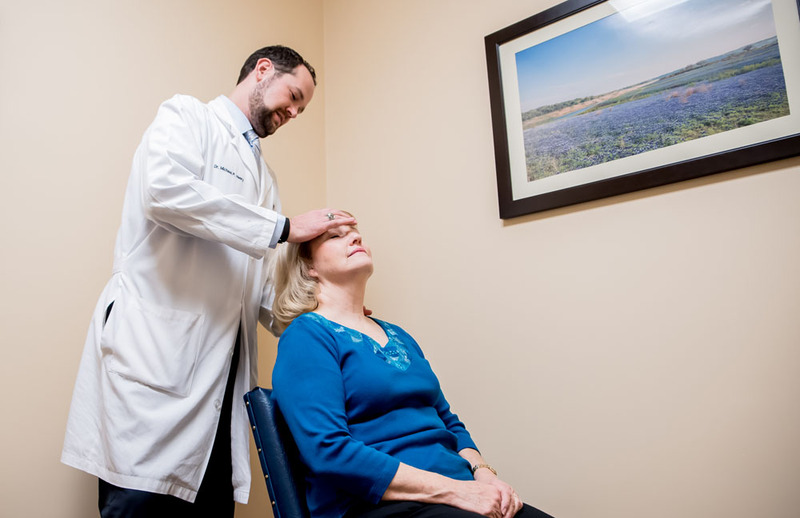 We offer you these tips because we are patient-focused professionals whose professional reward is earned by delivering measurable and observable pain relief to our patients. We welcome the opportunity to further your education and to put you immediately on the path to pain-free living. Call us anytime! Lasting and recurring back pain can limit you in many different ways. Before it takes a toll on your daily routine you might be able to put an end to it. Some who suffer from back pain choose spinal decompression therapy in Austin, TX. TexStar Chiropractic is an experienced provider of Spinal Decompression Therapy. Relief from lasting and recurring back pain back pain is one of the top benefits of spinal decompression. There are many doctors who choose non-surgical decompression therapy for treating degenerative disc disease to help patients recover faster and better from injured spinal nerves. When you undergo a chiropractic spinal decompression therapy for your back pain, you will actually experience your spine being stretched gently so you will not feel pain when the force and position of the spine changes. The computer controlled traction relieves back pain by taking the pressure off the spinal discs by creating negative pressure in the disc. So those discs that are herniated or bulging may retract and in return promote movement of water, oxygen, and other nutrient-rich fluids that are essential when your discs are recovering. To find out more about the benefits of non-surgical spinal decompression, contact TexStar Chiropractic. People have been asking us what we want for the Holidays. Here at TexStar Chiropractic, that's an easy one to answer. We ask for the continued joy of seeing our patients exit our practice in relieved comfort. Nothing makes us happier than enabling our patients to offer pain-free smiles to all those they love and hold dear. Although we are rewarded year-round with the joy of delivering pain relief, there is something special during about offering it this time of year. Each and every treatment option that we offer here is aimed at some level of immediate spinal and neck pain relief. We've been making a difference in the lives of Austinites since 2011. Imagine coming to us today for a single spinal decompression treatment and being put on course to a pain-free life, to be able to walk upright again, and to finally realize full freedom of movement. You and we both know that the spine and neck problems require systematic care and treatment, but our years of experience document that durable and immediate pain relief begins with a that first visit to a highly skilled and proven effective chiropractor. We want to make the point clear to you that there is no man-made miracle cure for back and neck pain. We can, however, assure you that to those suffering some types of back and neck pain spinal decompression treatment comes as close to miracle as can be found here on earth. A large percentage of our patients realize significant and measurable pain relief in as few as six sessions. Many patients describe real improvement after completing their very first spinal decompression treatment with us here at TexStar Chiropractic. Please review the various chiropractic care services that we provide here in Austin then call us. You'll be glad you did, not only this Holiday season, but for a lifetime to come. The part of the neck which begins at the base of the skull and contains the smallest vertebrae is also called the cervical spine. The benefits of chiropractic include solutions that end neck disc pain. The cervical spine is the part of the neck that holds the entire weight of the head and provides all of the structure and stability of the neck. A head is an average of about 12 pounds so you can just imagine the negative impact of this weight on your neck when you do not maintain good posture while sitting, standing, and walking. The neck also moves your head in nearly every direction which is an amazing and unique feature of this part of the spine. The problem is that this flexibility makes your neck very susceptible to pain and injury. Our chiropractic care clinic in Austin, TX offers treatment for those who experience problems in their cervical spine such as neck disc pain or related pain in the upper back or arms. Neck disc pain can be very bothersome. Chiropractors ensure that the small vertebrae in your cervical spine are in good condition and properly aligned by performing cervical manipulation when indicated. This is a very precise procedure performed on the neck which improves the mobility of the spine, restores range of motion, and treats neck disc pain. To find out more about the benefits of chiropractic care, contact TexStar Chiropractic. Peripheral neuropathy is how we describe the symptoms coming from damage to or disease of the nerves. These symptoms are most commonly pain or numbness and tingling in the arms, hands, legs, or feet. Neuropathy can also show up as impairments in balance or muscle weakness. There are many different causes for neuropathy including diabetes, medication, vitamin deficiency, and nerve compression but they all cause nerve damage. The good news is that something can be done. The first step in treatment is determining the type of neuropathy you have. The nerves rely on tiny blood vessels to bring them highly oxygenated blood. All cells in our body, including nerves, need oxygen to stay healthy and stay alive. The blood sugar spikes associated with diabetes causes damage to the blood vessels starting with the smallest ones which feed oxygen and nutrients to your nerves. Some pharmaceuticals as well as vitamin deficiencies can also contribute to collapse of the blood vessels. When cells do not get the oxygen they need from the blood and start to die, this is called ischemia. By better controlling your blood sugar, using nutrition to support healthy blood vessels, and combining other therapies which promote cell repair, you can improve your body’s ability to stop and heal the damage to the nerves and blood vessels that are causing your problem. Some common causes of mechanical compression of a nerve are: a bulged/herniated disc in the lower back, muscle spasm in the buttocks, or legs, or a direct trauma to a nerve. This is called a radiculopathy. When there is compression on a nerve, the signal that carries information from the cells in your body to your brain cannot be transmitted correctly. This can appear as pain, numbness, or tingling as well as issues with balance and muscle weakness. With this kind of neuropathy we focus on removing the cause of the problem, which is the compression or irritation of the nerve root. We do this by using treatments like spinal manipulation, non-surgical decompression, MLS cold laser therapy, and other physio therapy approaches. We do a thorough orthopedic and neurological evaluation to determine the type and severity of your neuropathy and then develop a custom treatment plan specific to your condition. Relief of neck pain is just one of the many benefits of chiropractic care. This type of treatment works to safely and effectively alleviate neck pain without drugs or surgery. This conservative approach to care also helps to strengthen the spinal muscles and improve the way your body functions. When indicated the doctor will perform manipulation of the spinal joints to help reduce pain that is caused by either pinched nerves or irritation of the muscles. Our chiropractic care clinic in Austin, TX offers many drug free treatment options that can help enhance the pain-relieving effects of traditional chiropractic manipulation of the spine. Millions of people turn to chiropractic care for help in addressing pain and to treat the other related issues every year. Many swear by and prefer chiropractic treatment to relieve pain because it addresses the source of the pain rather than just eliminating symptoms. Additionally, children can also undergo chiropractic care for pain or to improve the biomechanics of the spine before it develops poor alignment through the growth and developmental years. Our chiropractic clinic in Austin, TX provides a large variety of treatment options for pain relief. If you are suffering from neck, back or joint pain your first step should be to consult a licensed doctor of chiropractic to diagnose what is causing your symptoms and what treatment options are right for you. One of the many benefits of chiropractic care is neck pain relief. The drug free and non-surgical treatment options your chiropractor can provide can do more than just reduce your pain. Your chiropractor will evaluate your spine for any issues that might be affecting your overall health. The spine is divided into three basic sections: cervical refers to the neck area, the mid back is called thoracic, and the lower back is referred to as lumbar. Problems at any of these levels can contribute to neck pain as well as other health problems. The most common treatment used in chiropractic care is called spinal manipulation. It focuses on improving the health of the “whole person” through safe and effective adjustments in the spine which improve the function of the nerves and surrounding tissue which also can eliminate pain in the affected area. In addition to putting an end to neck pain, patients are educated in important matters that contribute to overall well-being such as nutrition, stress management, and lifestyle goals. Governor Greg Abbott has appointed Dr. Michael P. Henry to the Texas Board of Chiropractic Examiners for a term set to expire on February 1, 2019. The Board is responsible for regulating the practice of chiropractic. Michael P. Henry, D.C. of Austin is a doctor of chiropractic and the clinic director of TexStar Chiropractic Clinic. He is a member of the Texas Chiropractic Association, American Chiropractic Association and the Austin chapter of Ducks Unlimited. He is a former volunteer for the North Texas Make-A-Wish Foundation, Boy Scouts of America and Young Men’s Business League. Henry Received a Bachelor of Science in Kinesiology from the University of Texas at Austin and a Doctor of Chiropractic from Parker University.